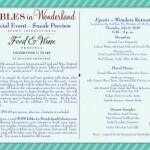 Tables in Wonderland has announced an April Discovery Dinner, as well as a great perk for the next couple of months! La Noube Discount - click on image for a larger photo! 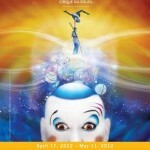 First up, members will receive a discount on Cirque du Soleil: La Nouba tickets in Orlando’s Downtown Disney from April 9 – May 11 and May 28 – June 21, 2013! Next, another Discovery Dinner at The Wave will be happening in April. And this one features Beer! Tables in Wonderland members will receive a discount on tickets for themselves and up to three guests at 6pm and 9pm performances on Tuesdays – Saturdays from April 9 – May 11 and May 28 – June 21. Ticket prices depend on the category of seats selected. Lots of fun to be had at the April Beer Discovery Dinner at the Wave! 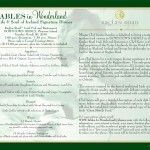 Menu: See below for the full menu and booking information! The Wave welcomes Brewmaster James Emmerson of Full Sail Brewery. This brewery has earned Oregon Brewery of the Year 2013 and numerous other awards. James Emmerson attended brewing school in 1987. He started his brewing career at Sieben’s Brewery in Chicago before being hired as Brewmaster at Full Sail Brewing Co. in April 1988. He has worked in every job in the brewery from grain to glass including recipe design, brewing beer, fermentation, filtration, and packaging. He designed and supervised all of the breweries expansions. In 1995, he designed the current facility and brewing systems, a design that has won the brewery numerous sustainability awards. Peach Farmers Nicole and Brian Adams are from Florida Sweet Brand Peaches (a family owned and operated peach orchard in South West Florida). With just over 70 acres of peaches, the family farm is large enough to supply retailers and restaurants throughout the state and small enough to maintain exceptional quality. In just 7 years, Florida Sweet Peaches has set the standard for this very young industry. Growing peaches has proven to be quite the challenge for a family with citrus roots however they have chosen to meet the challenge and are optimistic that their hard work will indeed be fruitful. 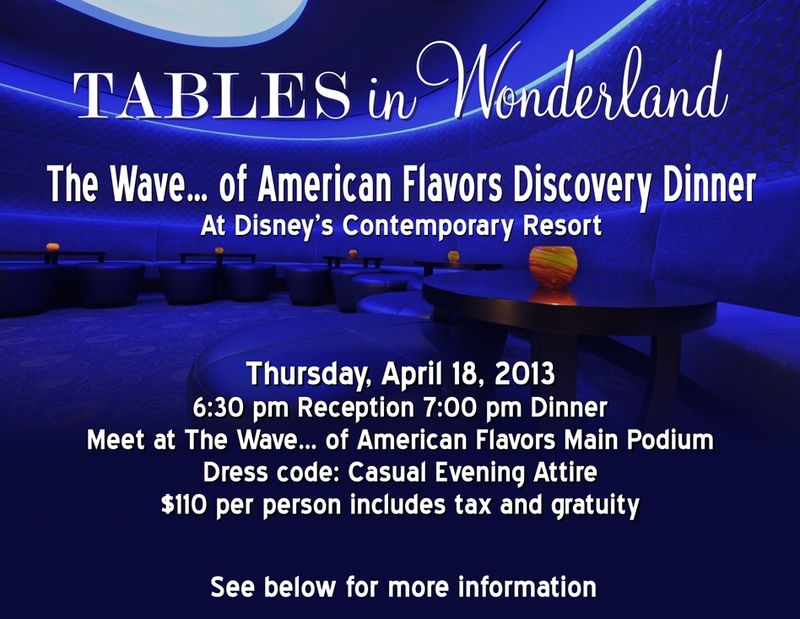 For reservations, please visit the following website www.disneyurl.com/TIWTheWaveApril for self-booking and instant confirmation. 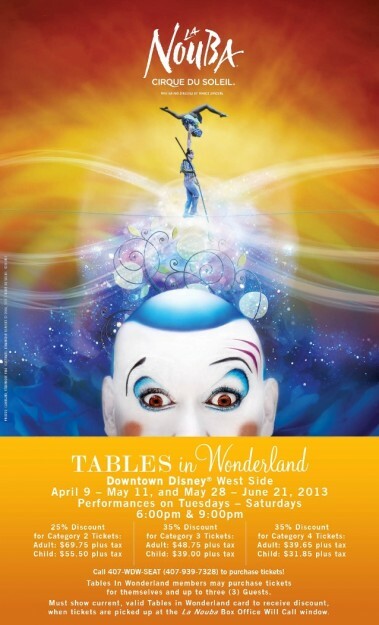 The website went live and began taking reservations on Thursday, April 4, 2013 at 10:00am. Your credit card is charged at the time of booking and you will receive an immediate confirmation email. Please use a personal email address as many work email addresses think the confirmation email is spam. 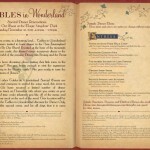 The event is limited to 46 Guests, and is exclusive to Tables in Wonderland members. Book now. 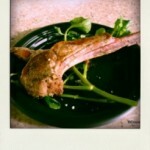 The last Beer Dinner sold out fast! « Work With Us at DFB!